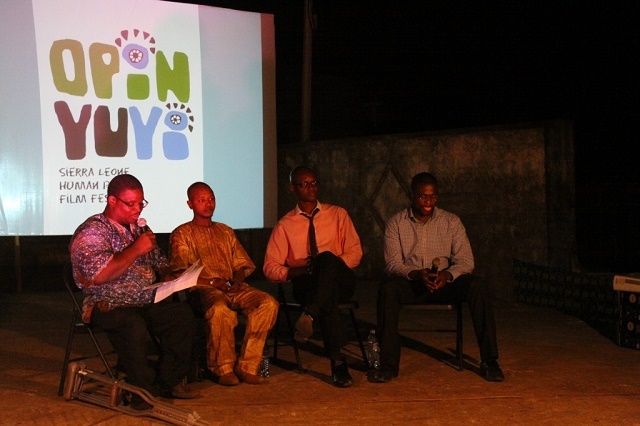 Opin Yu Yi (‘Open Your Eyes’ in Krio) is Sierra Leone’s human rights film festival, running in February and March 2014 for its third consecutive year in Freetown, the country’s capital city. Each year the festival brings a variety of films to the city, focussing on issues such as women’s rights, free speech and migration. This year’s programme included Women Rising, a film highlighting the increasing numbers of female presidential candidates in Africa; The President, a story about the events following the disappearance of a head-of-state – banned in its native Cameroon on the grounds that it might promote ‘political insurrection’ – and Which Way Is The Frontline From Here?, an account of the life of Tim Heatherington, a photographer killed in Misrata during the Libyan civil war. The festival was conceived by Idriss Kpange, a film-maker and video journalist, and Sabrina Mahtani, a human rights lawyer based in Freetown. In 2012, both founders travelled to attend a pan-African film festival in Burkina Faso. Encouraged by their experiences and hoping to pass this inspiration on, they wanted to create a festival that would build a platform for Sierra Leonean film-makers to talk about the important issues affecting their country. Less than a month after their return to Freetown, on a budget of just $3000, the first Opin Yu Yi opened. 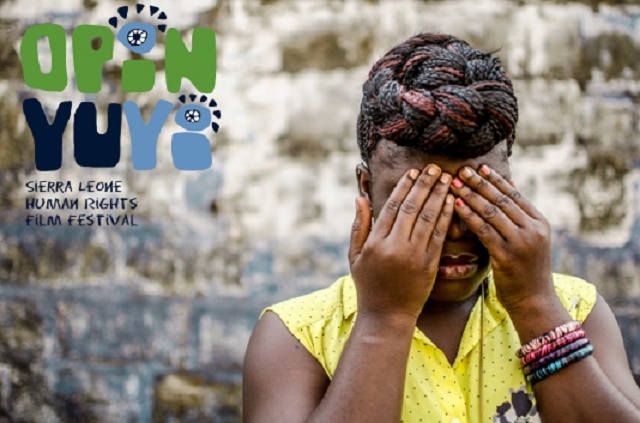 Three festivals later, both organisers still believe in the power of cinema to raise awareness about human rights issues in Sierra Leone. Indeed, in the lead-up to the festival there were strong indications that the showing of Call Me Kuchu might not be well received. Comments on the festival’s Facebook page denounced the screening as immoral, accusing Opin Yu Yi of promoting ‘un-African’ values. Despite this, the opening night of the festival went ahead as scheduled. The film was shown in the grounds of the National Museum, yards away from the towering ‘Cotton Tree’ towards which the first freed-slave settlers of Sierra Leone had walked, and which now marks the centre of Freetown. 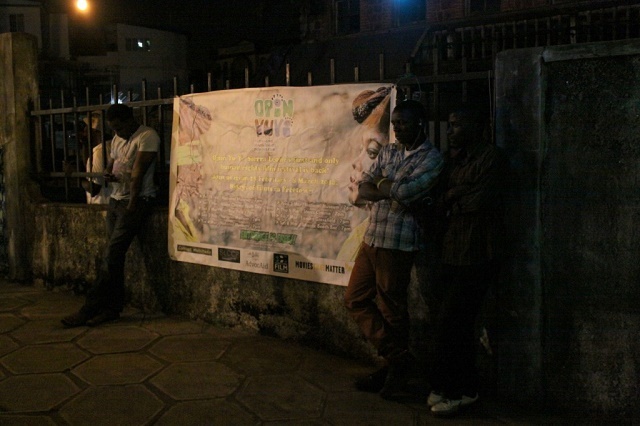 Festival co-founder Sabrina Mahtani commented that such a public, open-air showing of this film would have been inconceivable in either Uganda or Nigeria, declaring that this was indicative of Sierra Leone’s relative tolerance towards the gay-rights movement. Throughout the duration of the screening, the walls running around the museum compound became lined with people who had been passing by who had stopped to watch the film. During this current period of antagonism towards gay-rights across the continent, the public nature of this screening is undoubtedly significant. Of course, that is not to say that the film was warmly received. A noticeboard (pictured above) asking festival attendees to write a brief answer to the question “Aw wi di mek Salone go bifo?” (“How can we improve Sierra Leone?”), featured a response declaring that, out of respect to “original cultures and traditions”, Sierra Leoneans should say a “big no to gay rights as human rights”. Upon reading this comment I was left questioning whether individuals with hostile attitudes towards the film had simply left without making their perspectives public. More importantly, it led me to wonder how best to enhance the undeniable transformative power of cinematic story-telling. This also begs important questions about how we, as activists, can best facilitate and encourage open and respectful discussions about emotionally-charged issues.